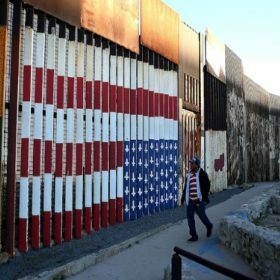 The United States will send additional 3,750 military force to its borderline between Us and Mexico, the Pentagon told as US President Donald Trump is strict on the wall issue for boosting the security in the border area. Troops were mainly positioned to the border according to the order of US President Donald Trump gave before the midterm elections in November as “caravans” of migrants made their way to the border between US and Mexico for attempting to find asylum from own devasted country by poverty and violence. But the planned mission in which the military force assisted civilian border patrol agents supporting logistically and installing fencing of concertina-wire, has been stated by the opponents as a political stunt portrayed to generate the illusion of a crisis. In a statement disclosed that “ The Department of Defense will deploy approximately 3,750 additional US forces to provide the additional support to CBP (Customs and Border Protection) at the southwest border that Acting Secretary of Defense (Pat) Shanahan approved Jan. 11”. The additional establishment for the three months added in the statement will bring to 4,350 the entire numbers of troops at the border. The tasks of the mission will include, “ a mobile surveillance capability through the end of September 2019, as well as the emplacement of approximately 150 miles of concertina wire between ports of entry”, claimed in a statement. Underscoring this claims US President tweeted, “With Caravans marching through Mexico and toward our Country, Republicans must be prepared to do whatever is necessary for STRONG Border Security ”. According to the US President, the existing sections of walls should be expanded across the border to stop what he states as an unrestrained invasion of criminals.